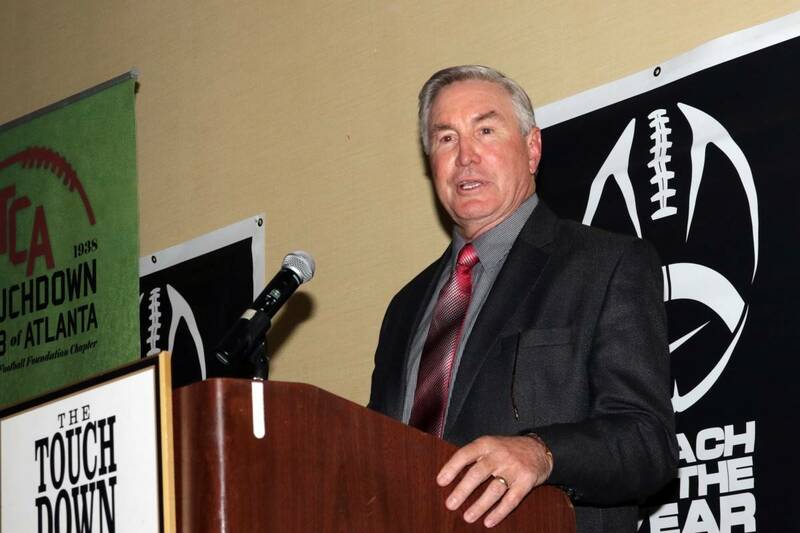 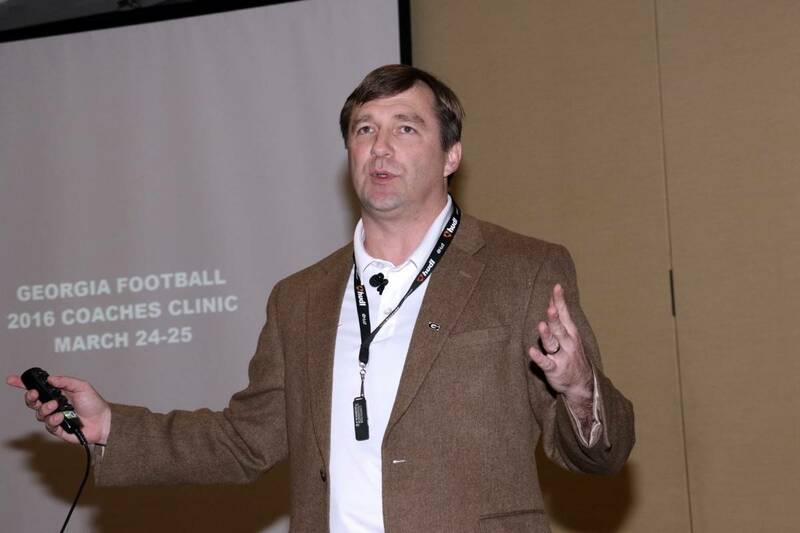 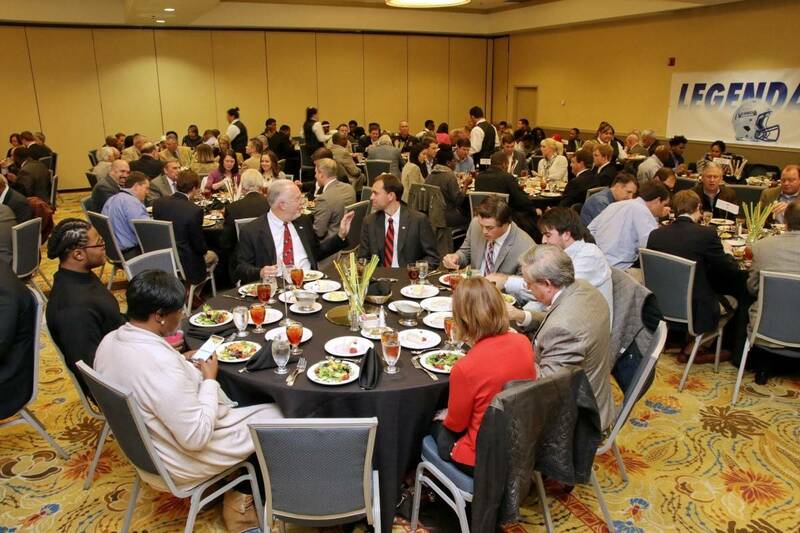 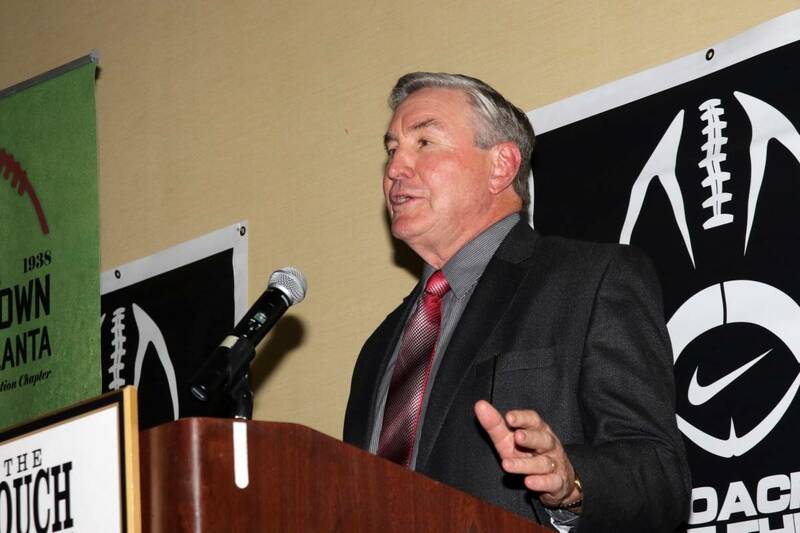 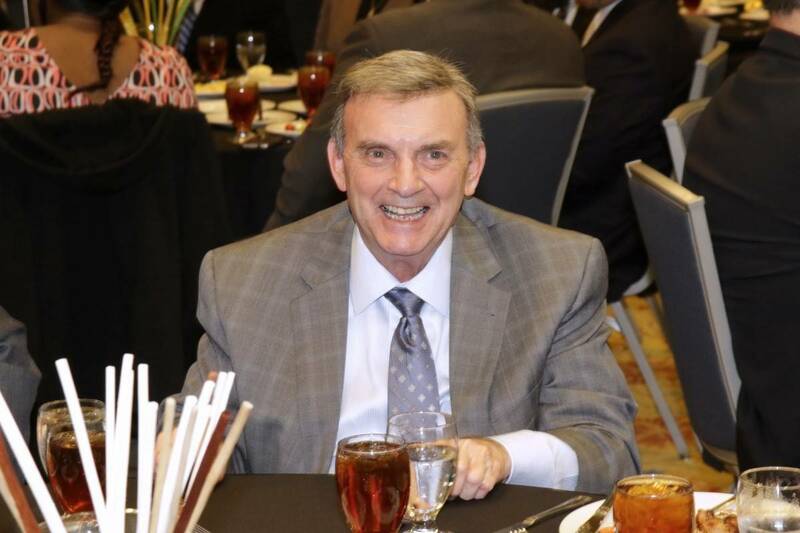 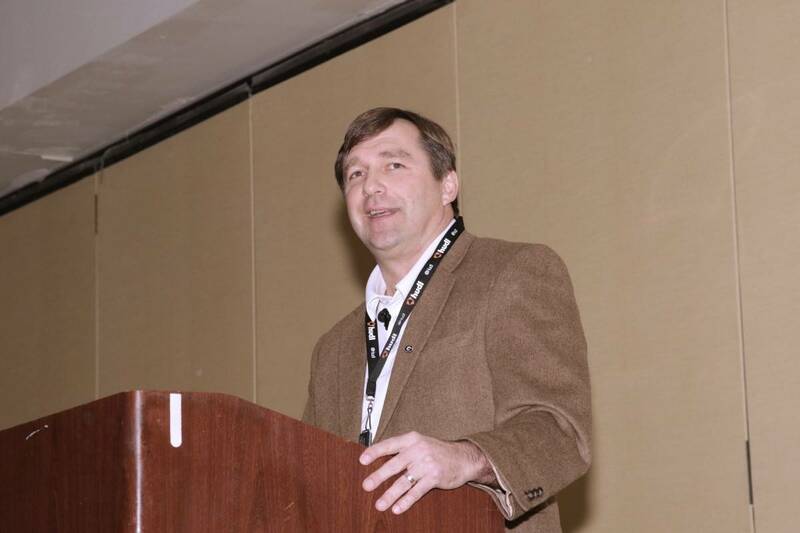 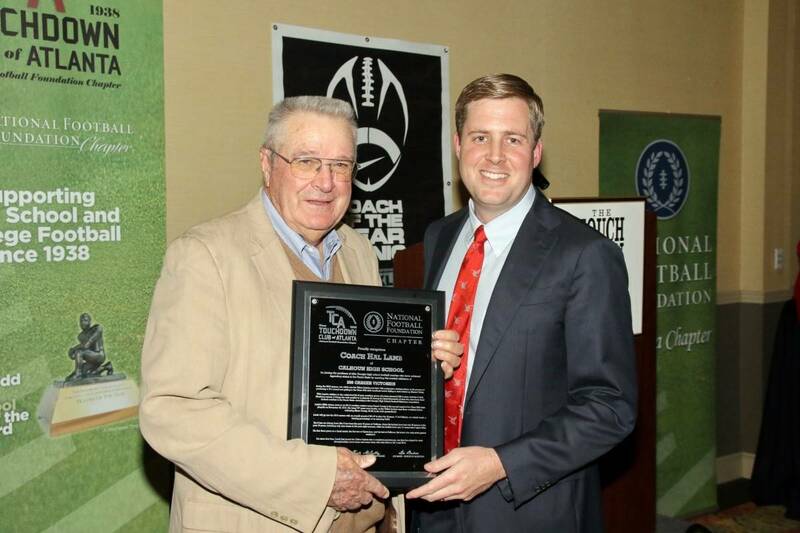 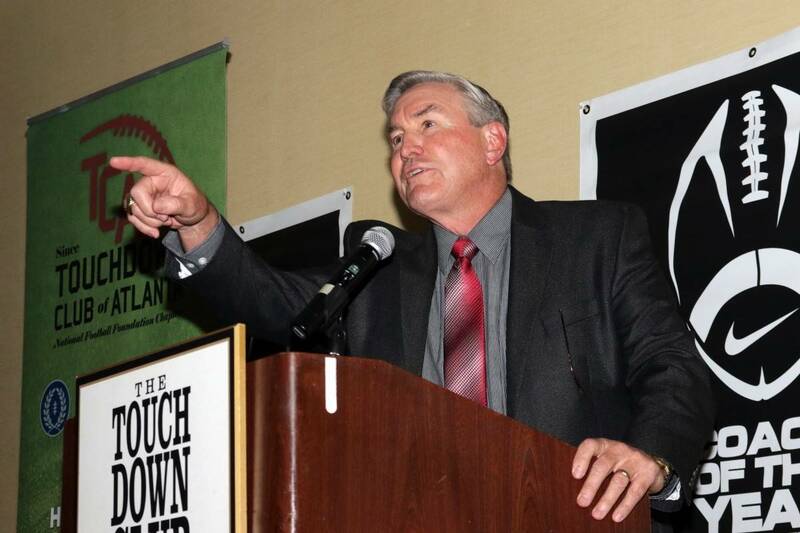 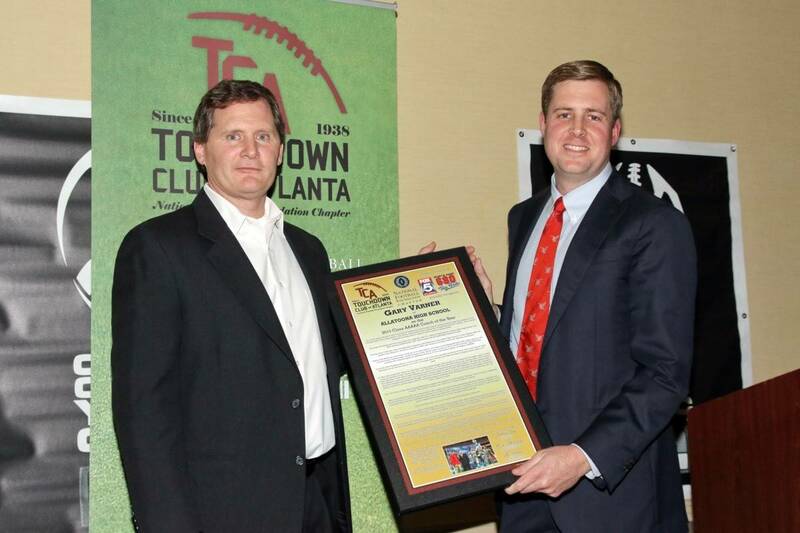 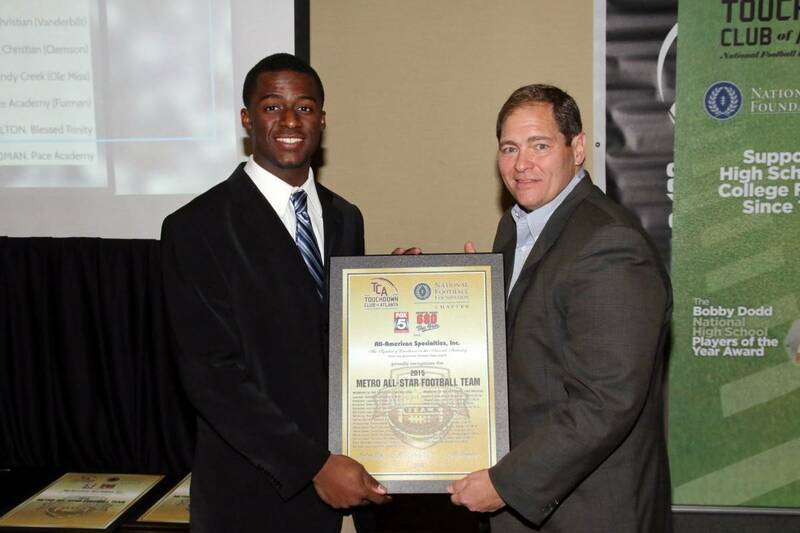 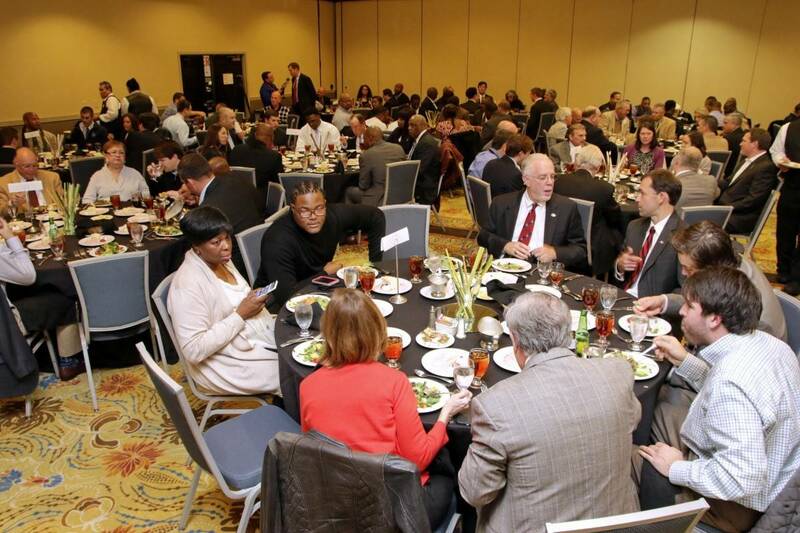 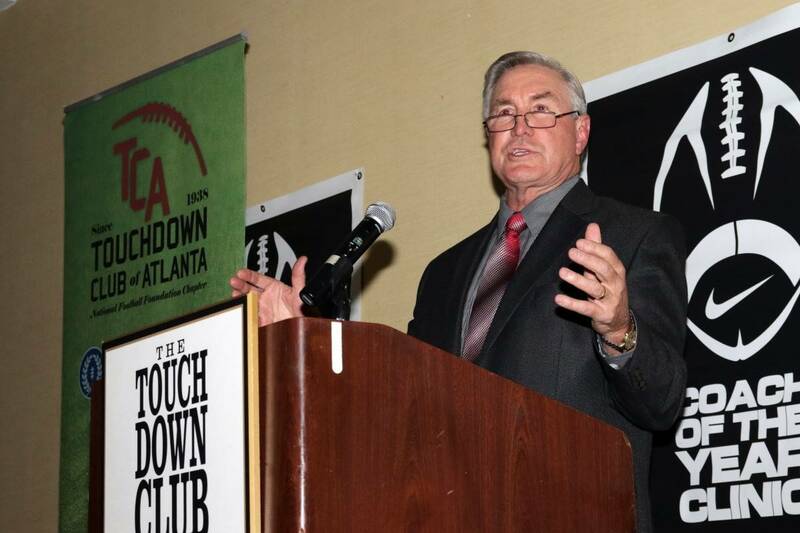 The 2015 Annual Awards Banquet featuring Coach Mac McWhorter was held Thursday January 28, 2015 in Dunwoody, Georgia in conjunction with the 2016 Nike Coach of the Year Clinic. 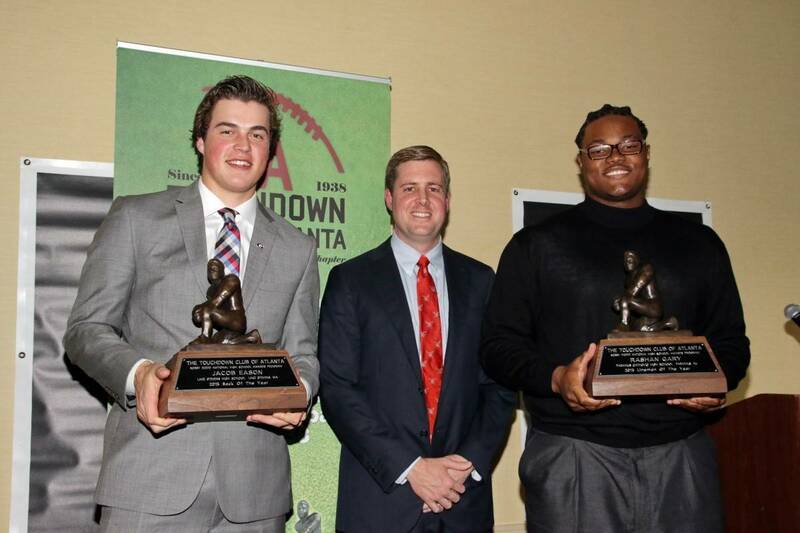 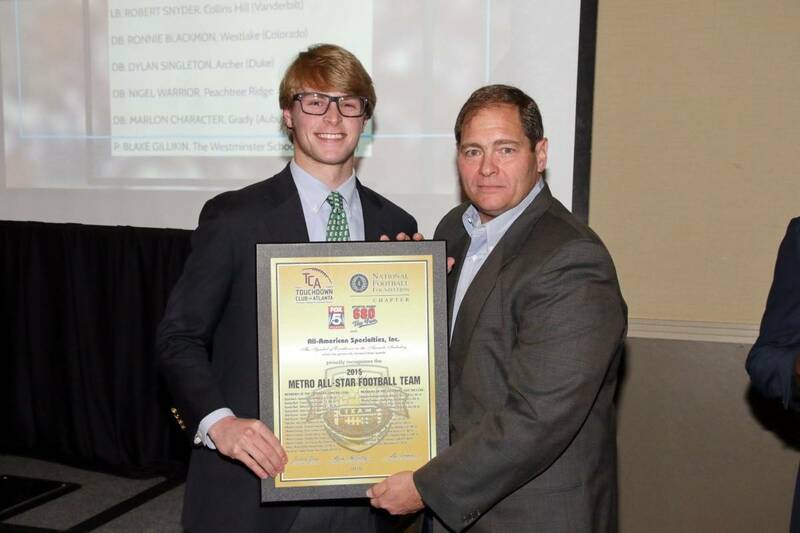 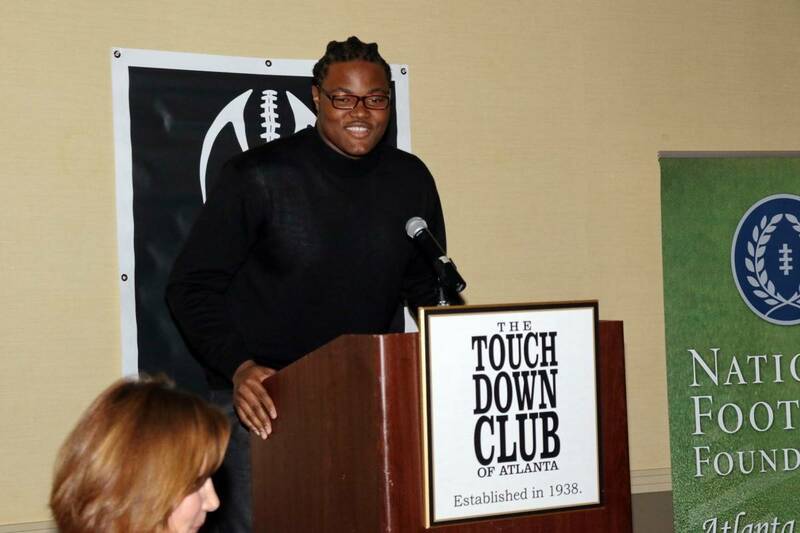 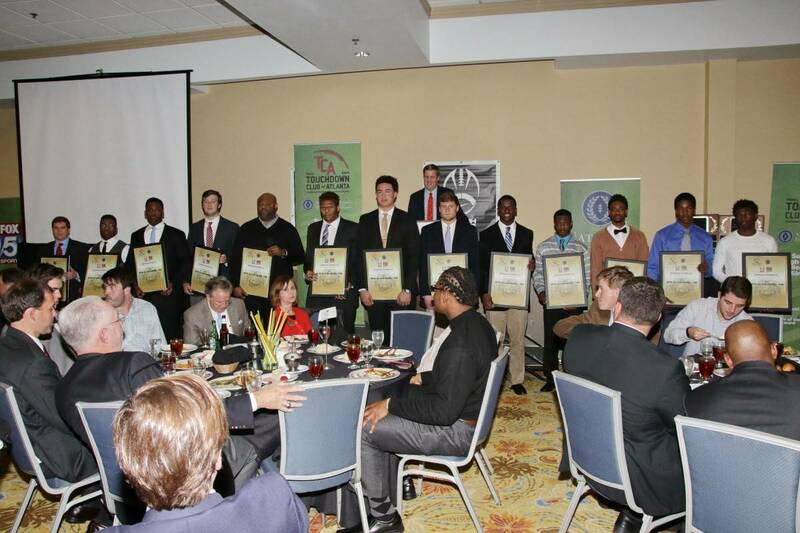 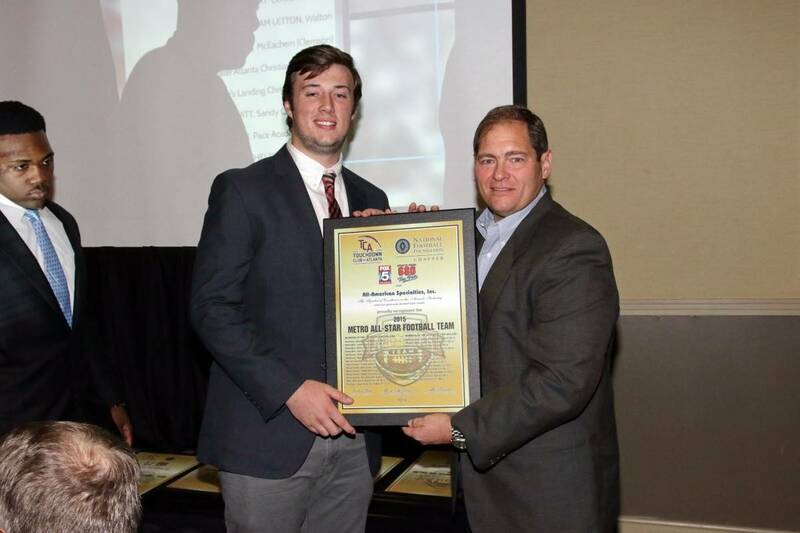 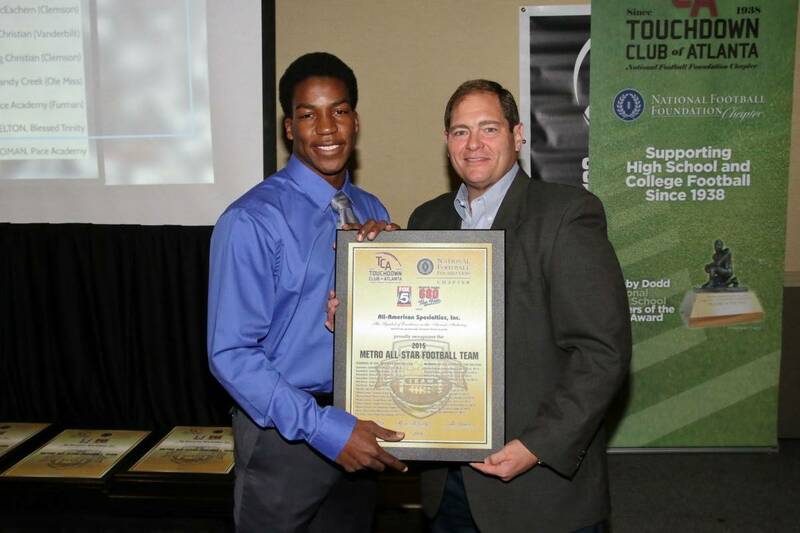 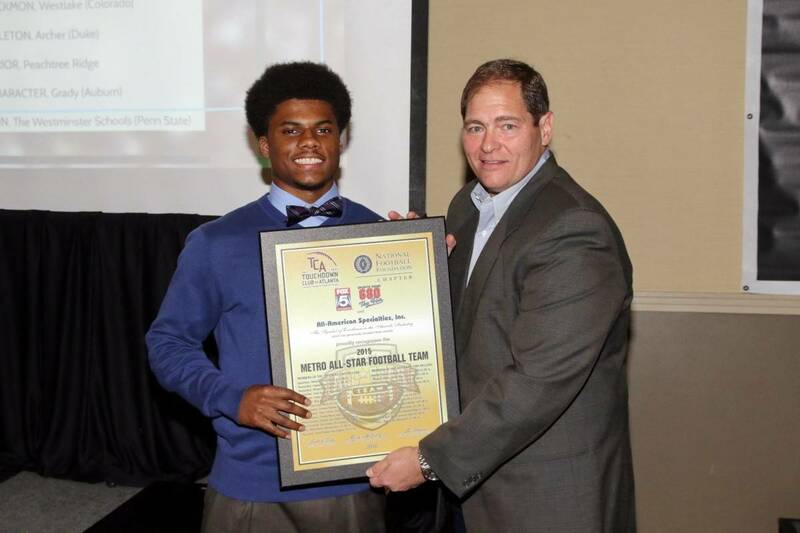 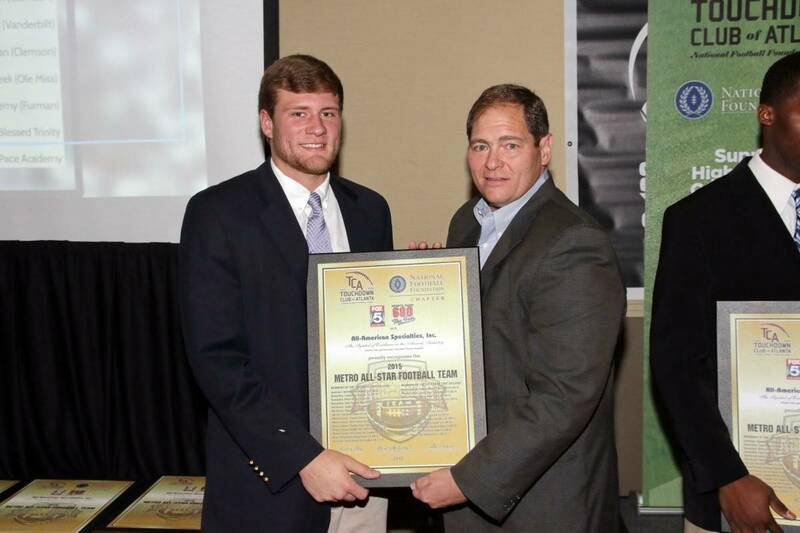 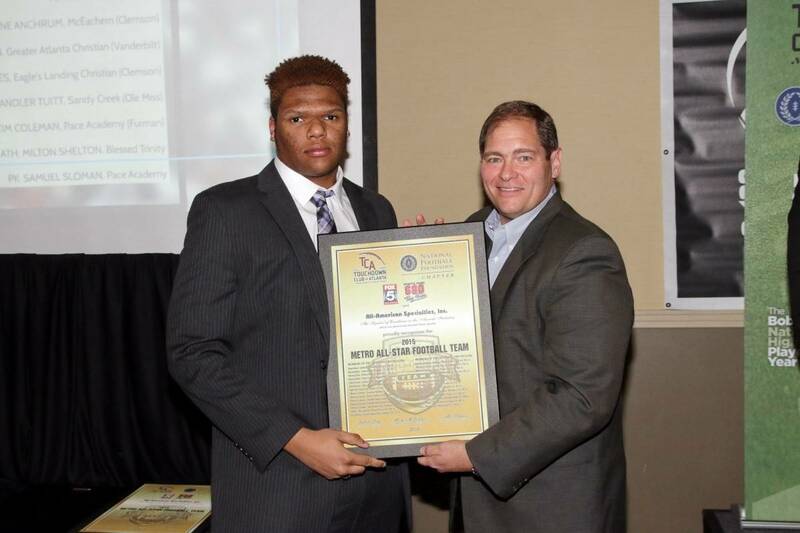 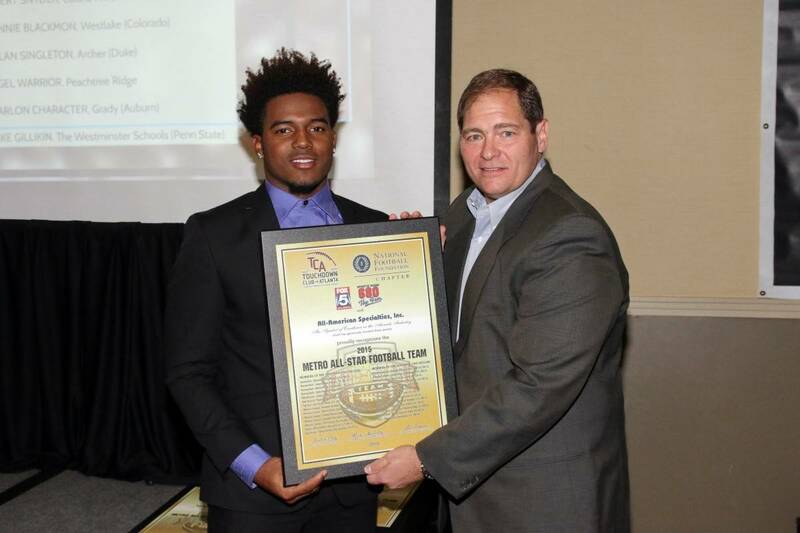 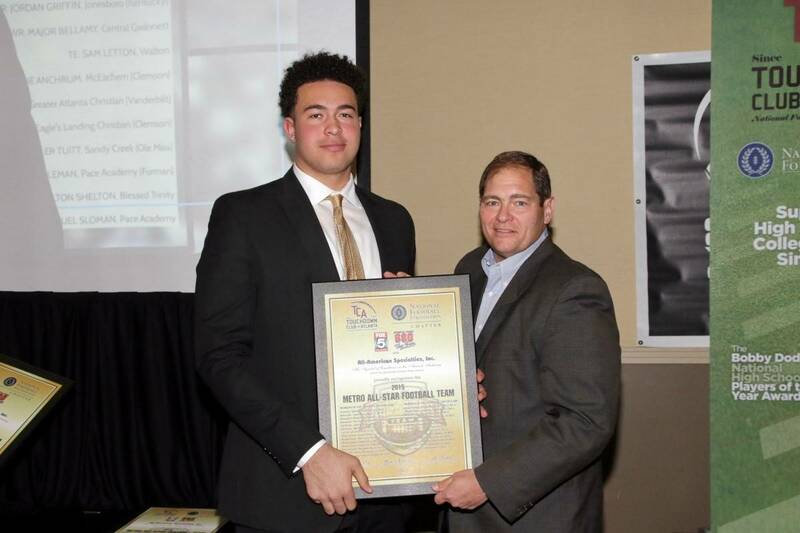 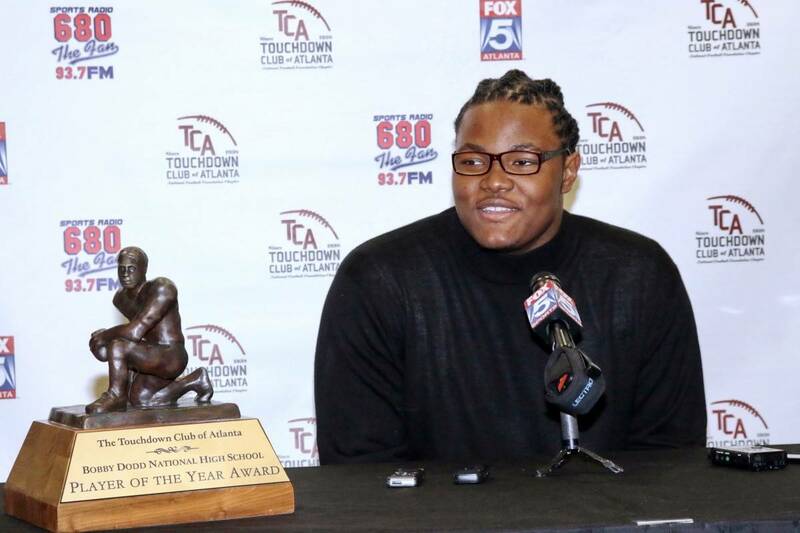 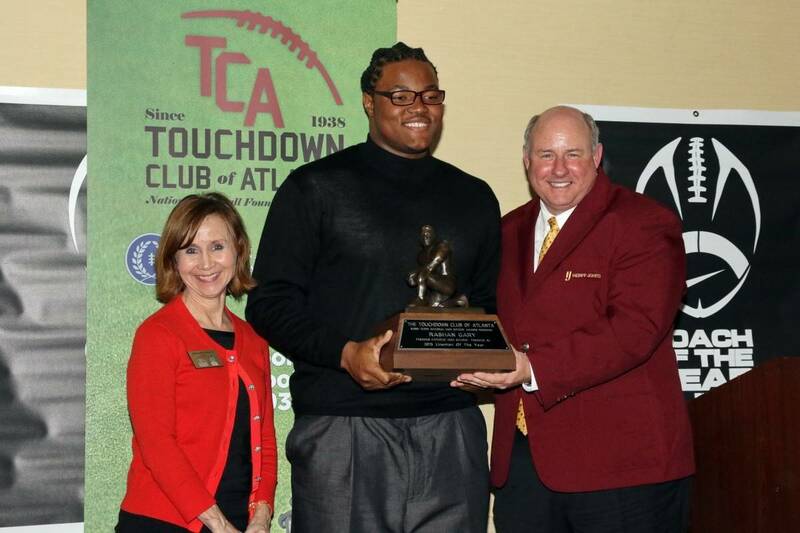 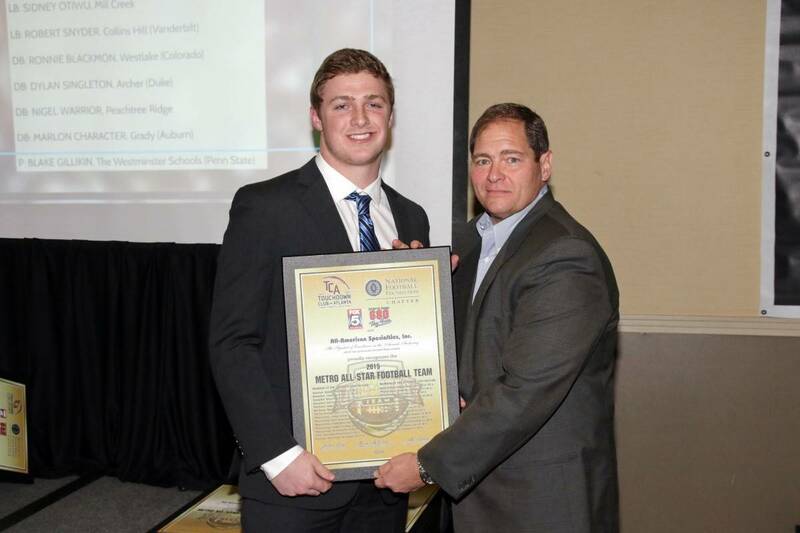 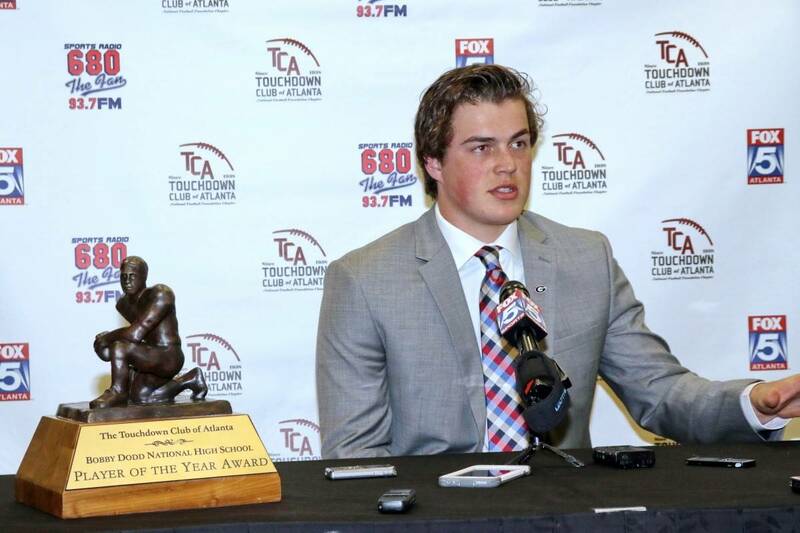 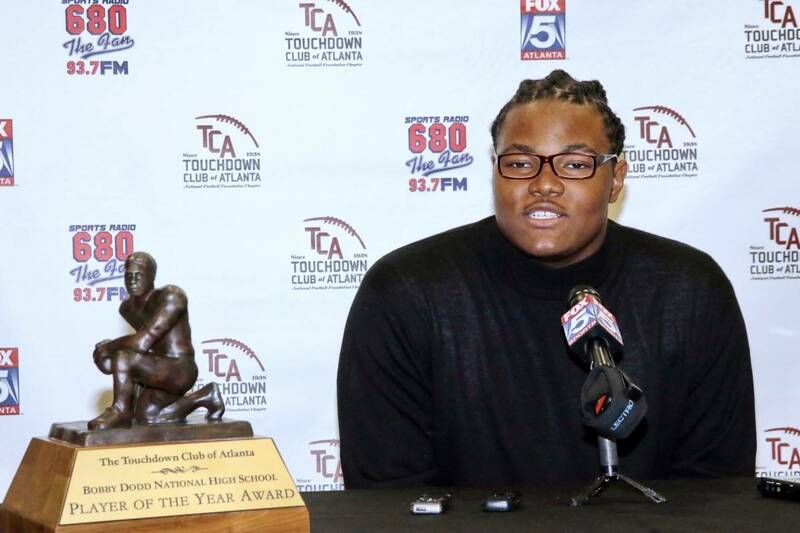 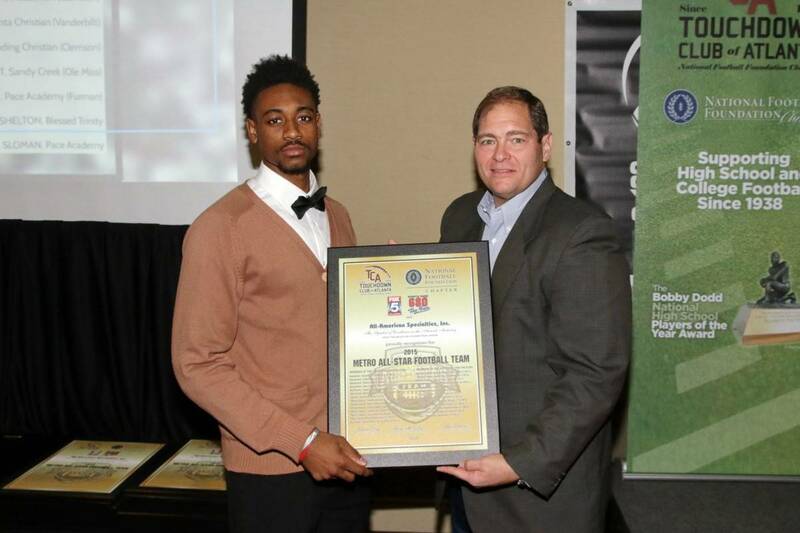 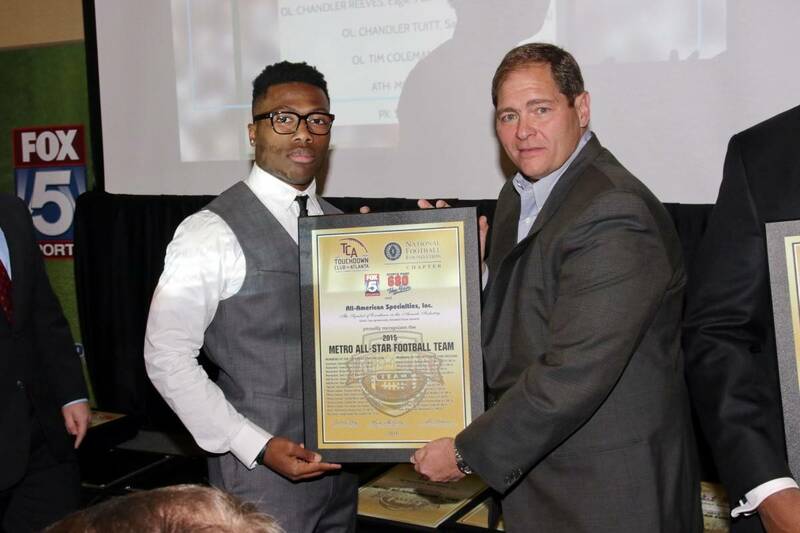 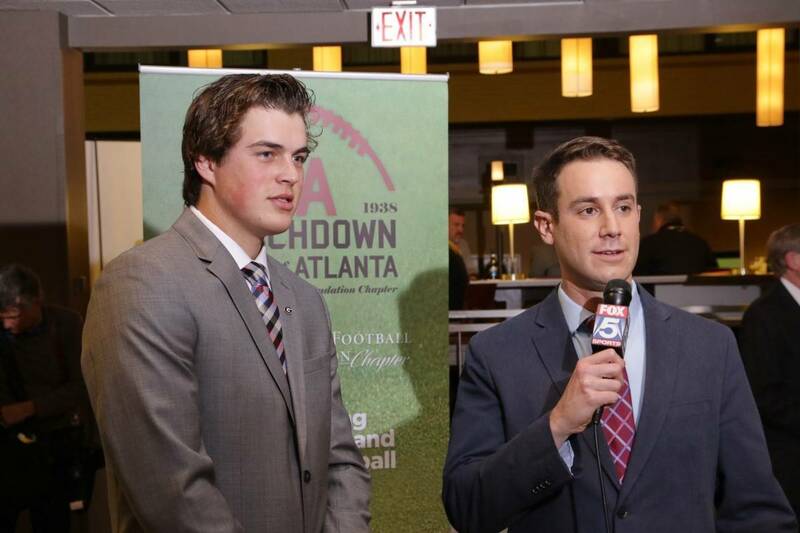 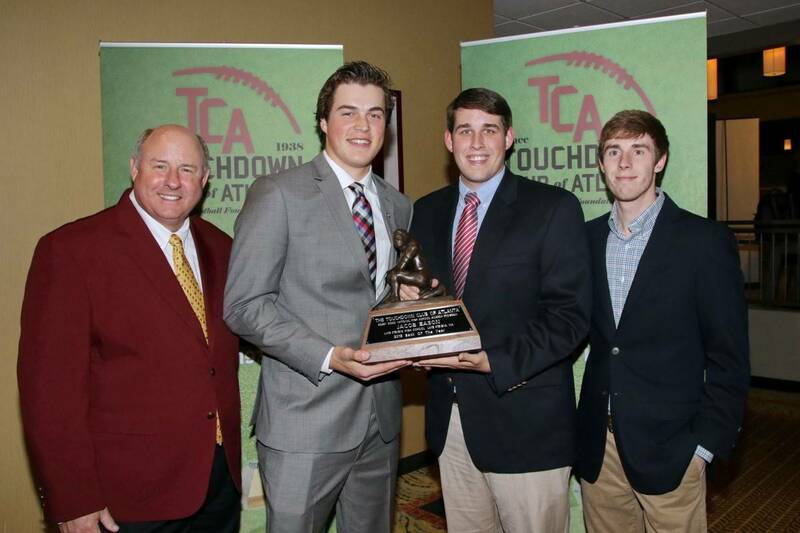 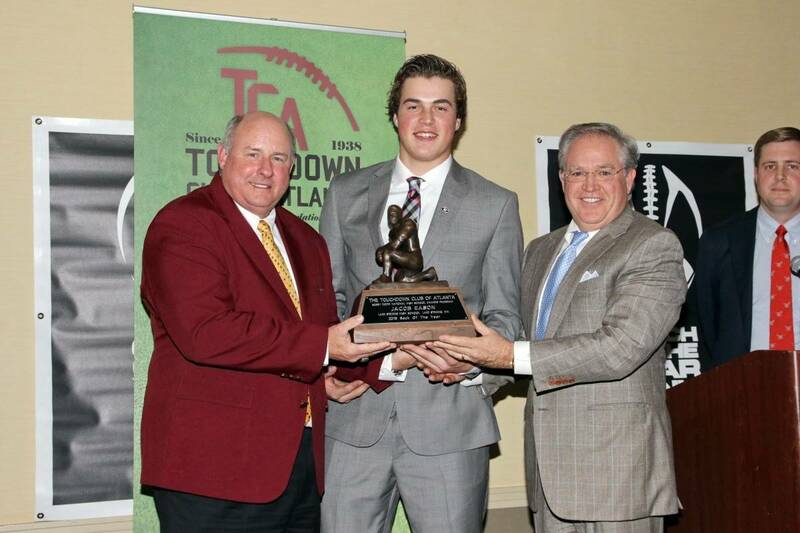 This stellar – sold out – event, was held to present the 2015 Bobby Dodd National Back & Lineman of the Year to Jacob Eason & Rashan Gary. 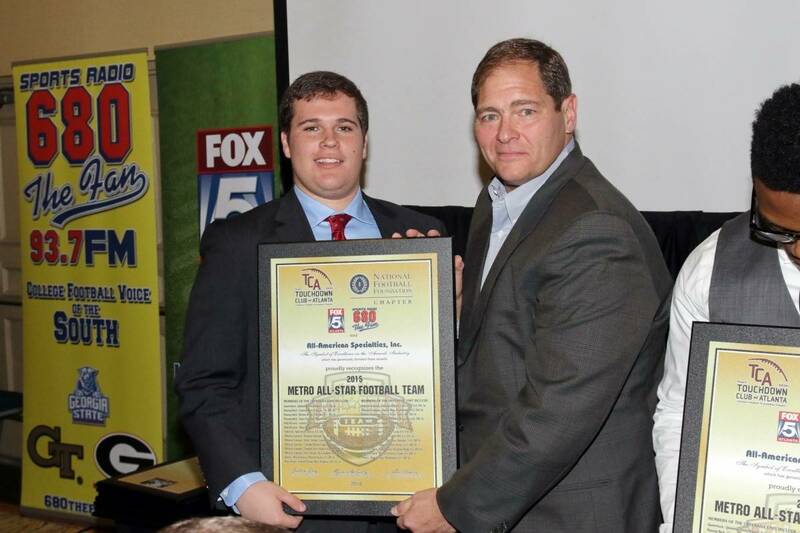 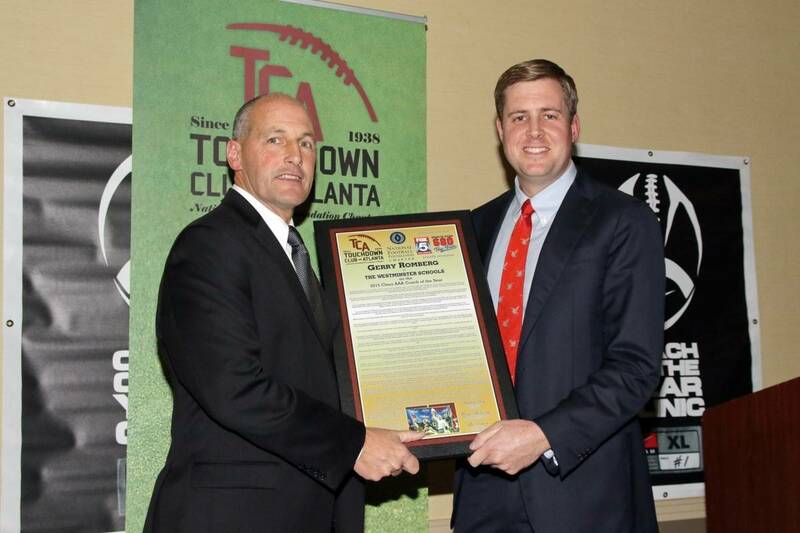 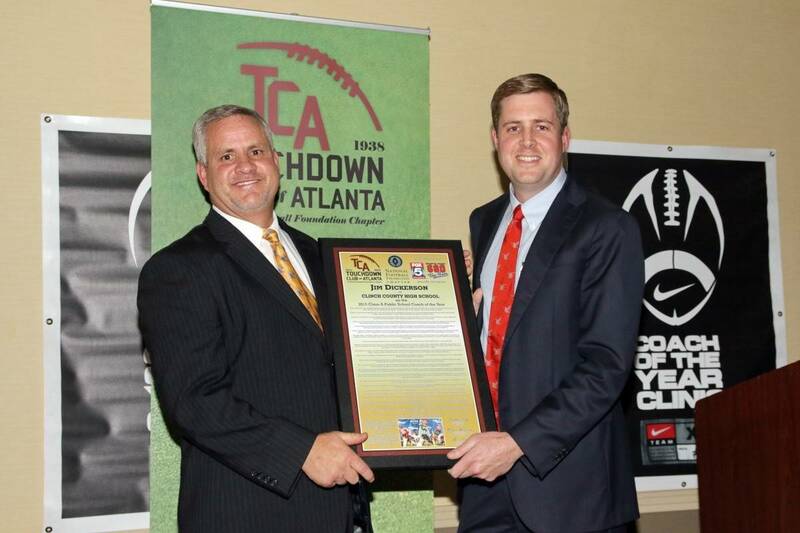 We also honored the 2015 TCA Metro Atlanta All-Star Team, 2015 Coaches of the Year and we were able to present the Corky Kell Coaches Award to Hal Lamb & Ron Gartrell. 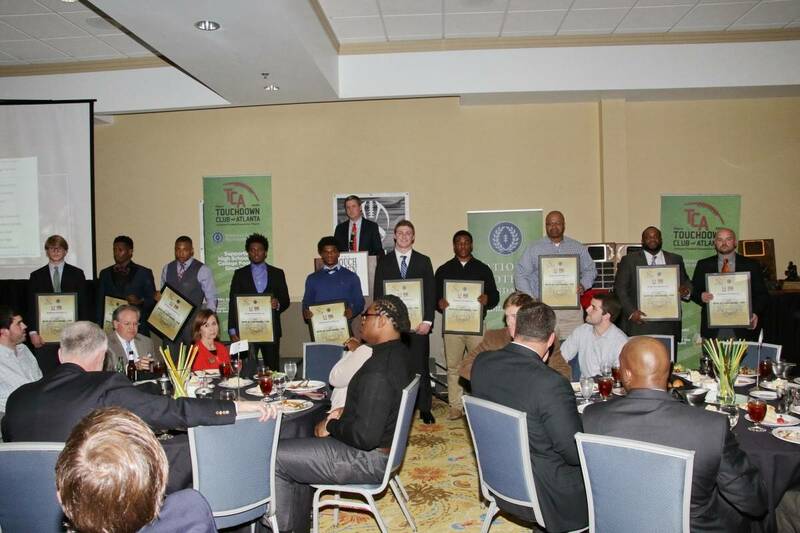 Electricity was in the air for this event as the room was filled with media and college coaches looking to get one last chance to recruit the blue chippers who were in attendance to receive awards. 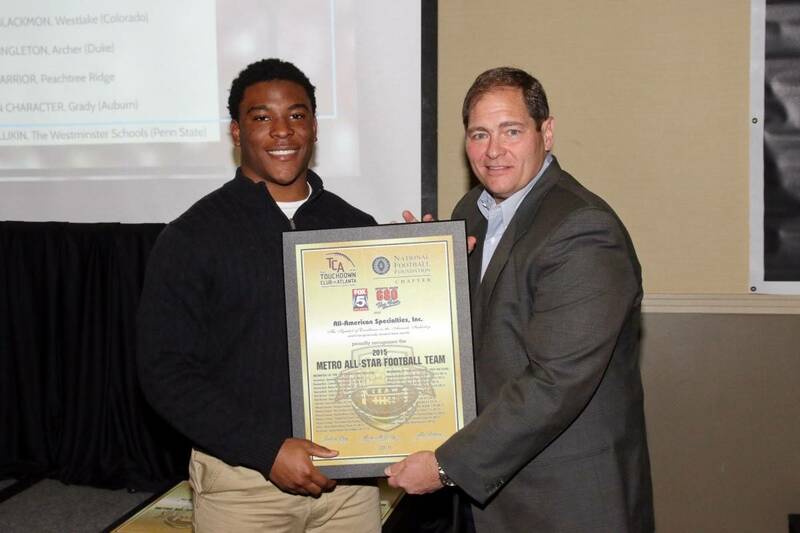 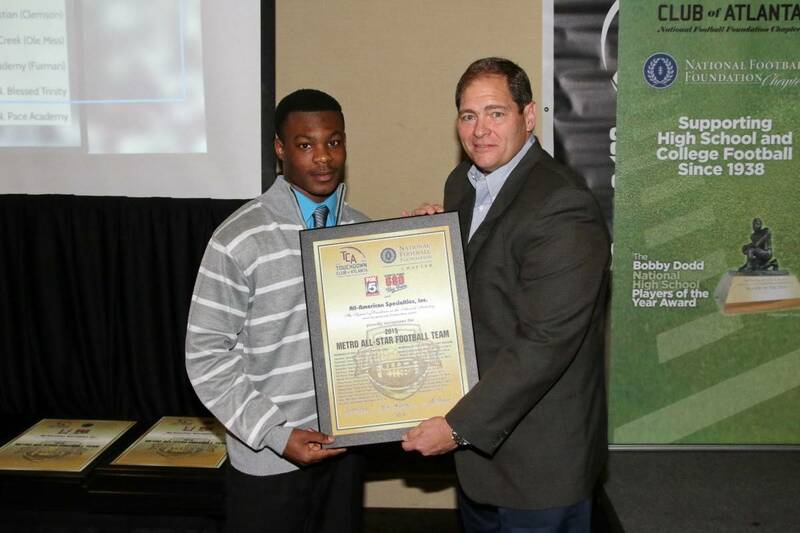 The incomparable LSU head man Les Miles was in attendance and joined us for our dinner awards presentation. 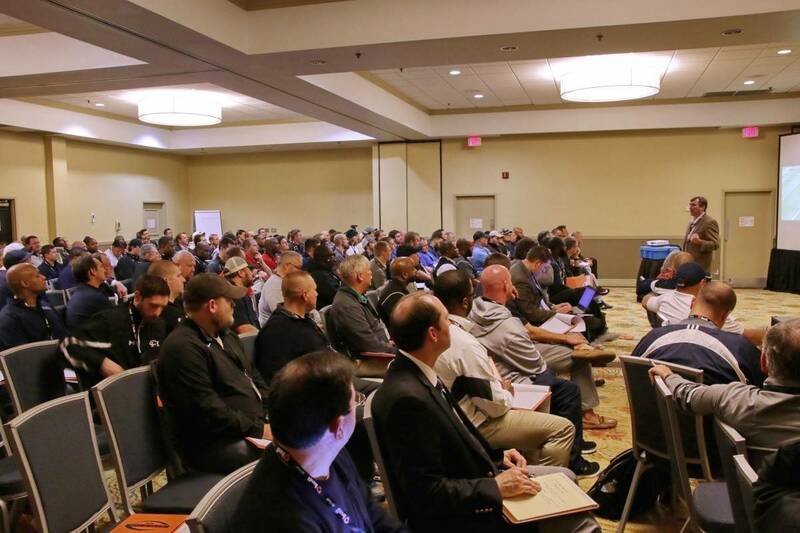 The stellar event attracted coaches from all over the state of Georgia including retired coaching legends including T. McFerrin, Charles Winslette, Danny Chronic & Ray Lamb. 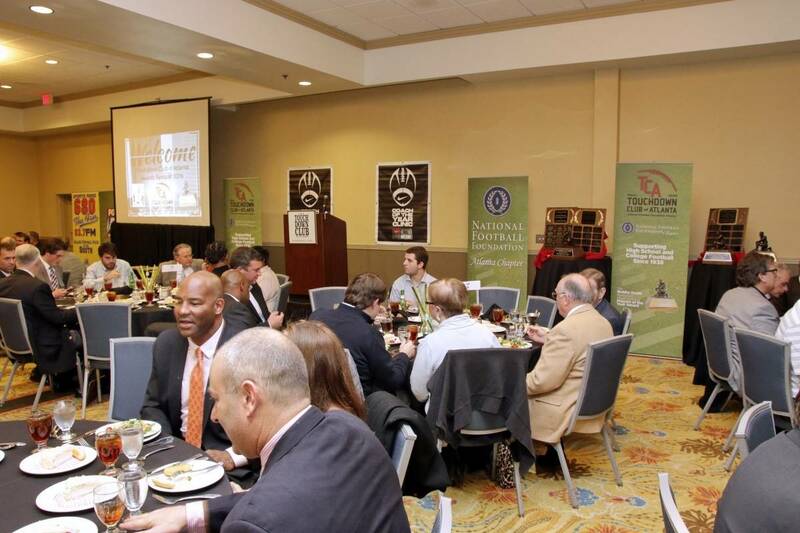 A great time was had by all and we would like to thank the Nike Coach of the Year Clinic and our presenting sponsors Duffy Realty, Weathington Smith PC, & Competitive Sports Analysis. 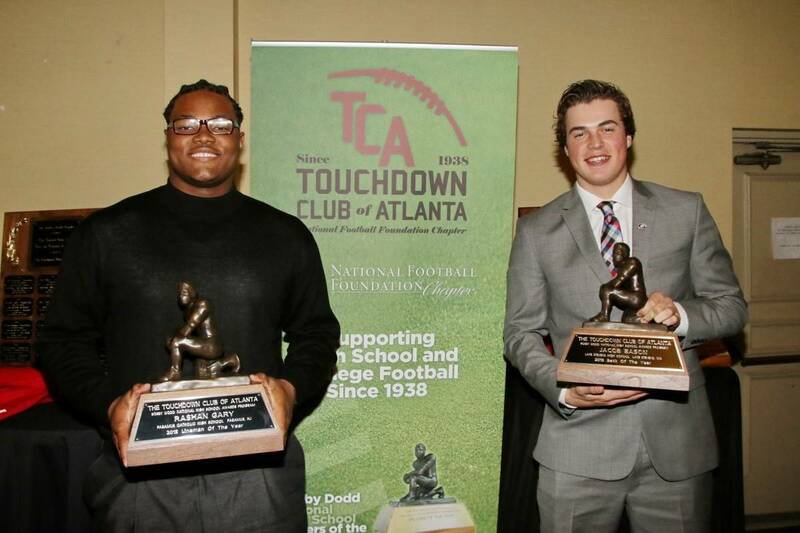 Also we would like to especially thank Herff Jones for proving the prestigious Bobby Dodd Award. 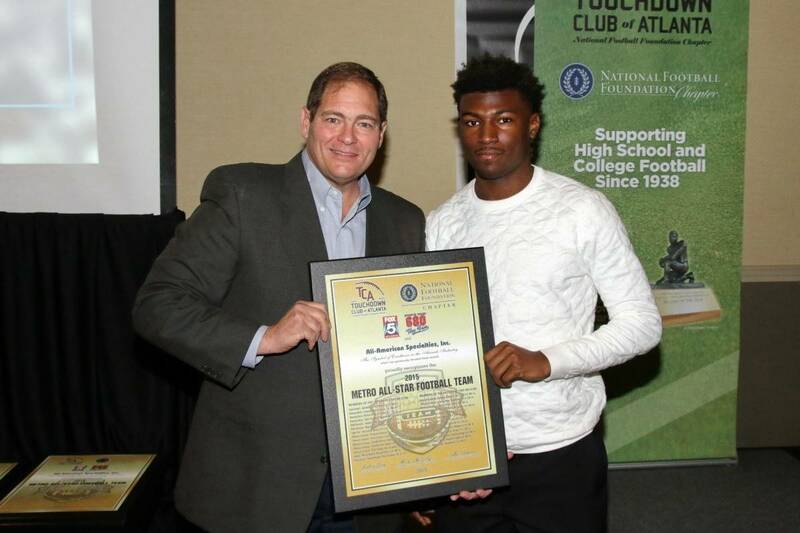 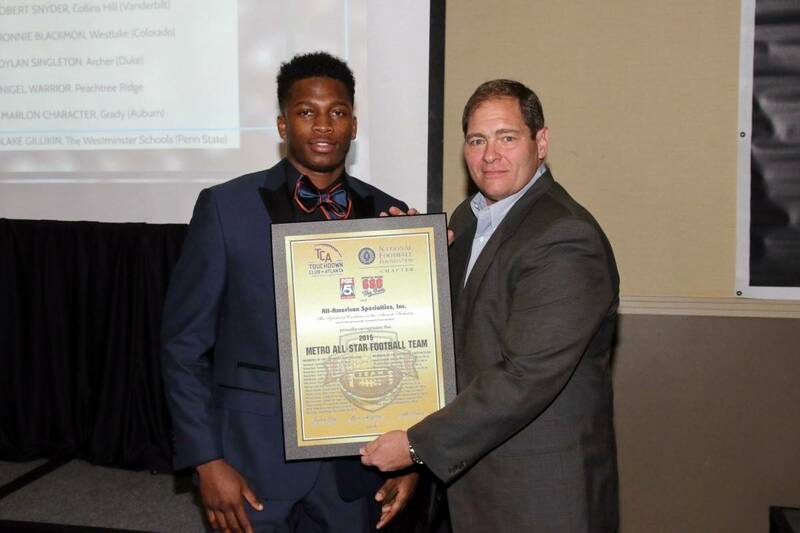 Lastly, but certainly not least a big thank you to Tony McIntyre and All American Specialties for donating and providing the plaques for Coaches and Players. 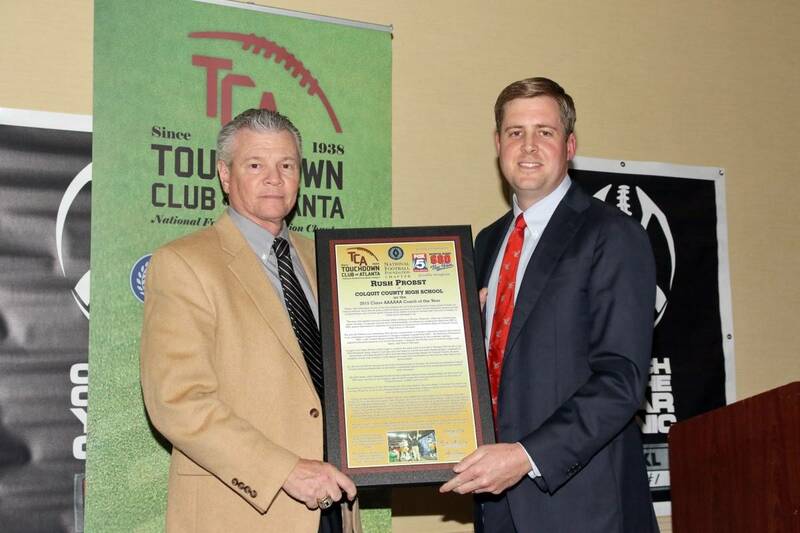 These one of a kind plaques are a treasure that these players and coaches will have for a lifetime.